I have a crazy obsession with brie cheese. Although I only just tried it for the first time this year, I have certainly been making up for the 27 years of my life that have not been filled with brie cheese. I know there are lots of ways to eat brie. There are fancy ways, and not-so-fancy ways. You can eat it cold or warm and melt-y. It can be savory or it can be sweet. I don’t think it will be a surprise to anyone if I go ahead and declare that I like my brie to be not-so-fancy, warm and melted, and very sweet. That seems about right, yes? 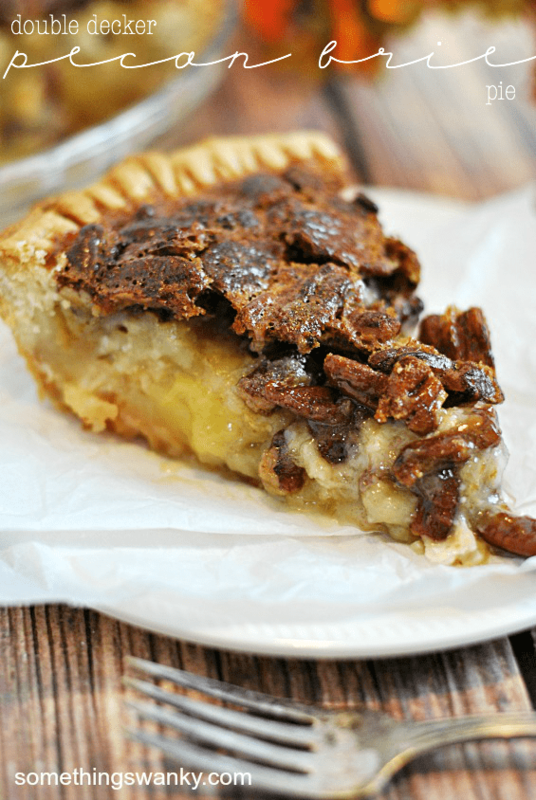 Earlier this year, I made a Baked Brie Apple Pie, and I’ve been toying around with the idea of a Pecan Brie Pie ever since then. But, of course, I wanted to wait until we were a little closer to Thanksgiving. And now, here we are, tumbling headfirst into the holiday season!! I can’t believe it’s come on so fast, but I am completely digging it. I look forward to Fall/Thanksgiving/Christmas food all year long, and I won’t be the one to complain that it creeps up on us earlier and earlier every year. Heck, I’ll be all smiles if the time ever comes that I’m sipping on cider and eating peppermint bark in July! I mean, not that I think the holidays should start in July. I’m just saying… good food is good food. And holiday food is the best kind of food. So… you know… I’ll take it whenever I can get it! 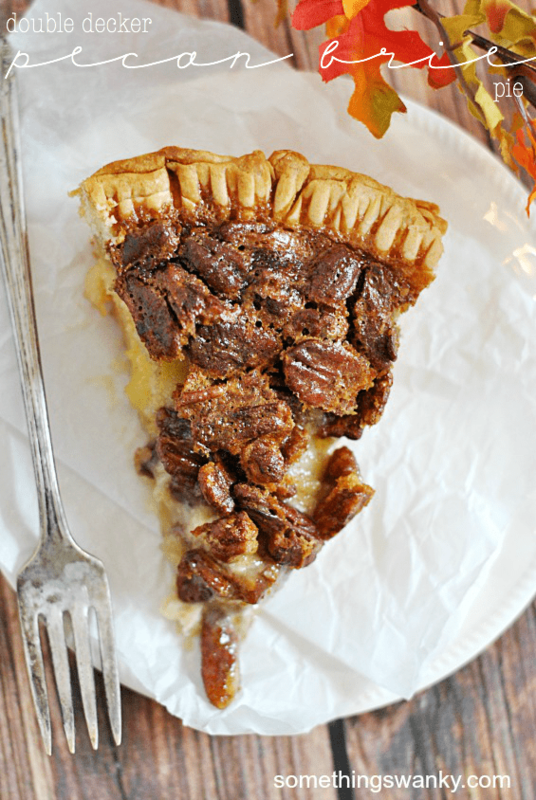 But let’s get back on topic… this pie. 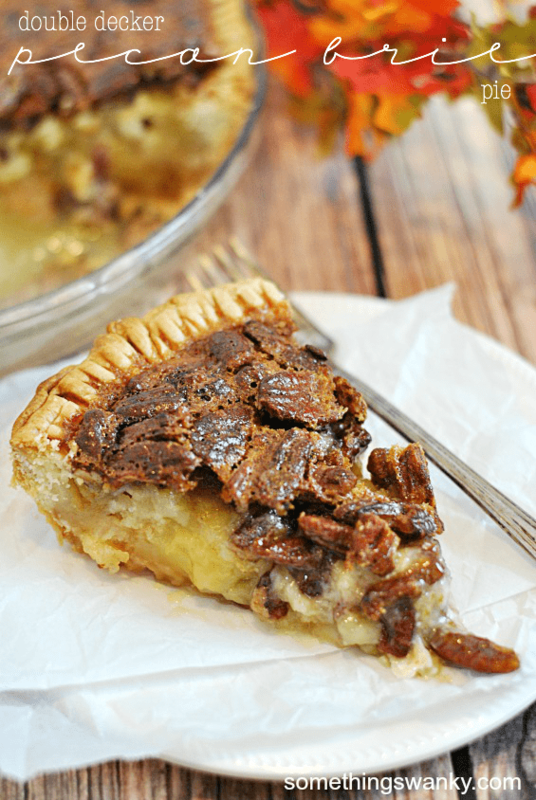 One pie crust, a layer of brie cheese, another pie crust, and a layer of pecan pie filling. That’s what’s in this whopper of a pie! Two full layers of pie means double the delicious!! 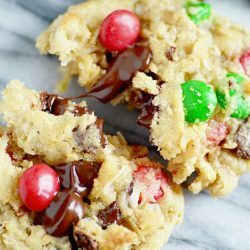 Trust me, you want to add this to your holiday line up! Plus, it’s SO simple. The brie layer makes it a little extra fancy, but there is seriously no extra work (especially if you’re a Pillsbury pie crust fan, like I am)! Be prepared to look ultra-impressive this holiday season :) . Line a deep 9" pie dish with one unbaked pie crust. Evenly layer the brie cheese slices on top. Cover the brie cheese with the second pie crust. Gently press the crust down on top of the cheese and against the walls of the dish, sealing it with the first pie crust. Trim or fold the edges of the crust as desired. Set aside. 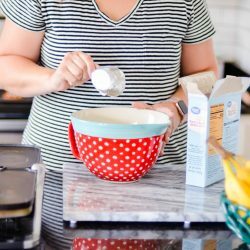 In a medium bowl, bet the sugar, butter, corn syrup, salt, and eggs with a whisk until well mixed. Stir in pecan halves. Pour into the prepared pie dish. Bake for 45 minutes, until center is almost set. Let cool for at least 30 minutes before cooling. *the amount of brie cheese can be altered a bit without drastically affecting the result of the pie. Be sure to check out these other great recipes from me and my friends! Never have I seen anything even remotely close to this. And now I am wondering why? I love brie, I just made sandwiches with it last night but I have never used it in dessert. Great idea! I’ve never seen a brie pie…WOW. Now this calls for a party. As in, throw one just so you can make this! This looks absolutely amazing! Pecan Pie is my fave and this makes it even better. so is this a dessert or app.? My two favorite foods are cheese and sugar. People always laugh and make jokes because no one thinks they go together . . . except me! I love to put cheese in my pie crusts (gruyere for pear pie, gouda for apple, feta for cherry . . .) and you have brought all my hopes and dreams to a new level of realization! I fall apart every time I think about it! OMG this is amazing! I cannot wait to make this. Maybe I’ll have to do a trial run to test it out! 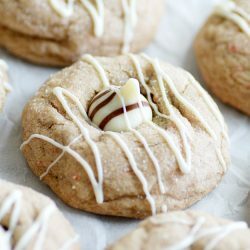 http://m.foodnetwork.com/recipes/29382. This is an amazing recipe you should tried out with pie sticks. **pie crust cut into strip and covered with a little cinnamon and sugar** :)) I can’t wait to try our your recipe!!! cheers! do you send daily emails with recipes? I have only just tried brie about 6 months ago, and completely agree with you! Sweet and melty. I need to try this! So amazing! I found this on pinterest and fell in love. Every Labor Day our church holds a picnic and we have a Pie Baking Contest. My husband and I compete against each other. I wanted to make this… but my husband insisted he make it. So I made a Black Raspberry Pie and he made this one. We both came in 1st place for our categories! So many people loved it. I brought back two empty pie tins and promised to share the recipe. He changed it up a bit. Toasted the pecans first and crushed them up a little bit. Then when he mixed up the pecan topping… he dumped in 2 cups of pecans instead of 1. Wow! AMAZING! We loved the whole thing. Thank you so much for trying something so amazing and sharing online. Those sound like some amazing adjustments! I will have to try the same thing next time I make it!